Not all coughs are the same. Some come with colds, others are a symptom of disease, still others present themselves with an asthma attack. Here's what you need to know about your kid's cough, how to treat it, and when to get emergency help. 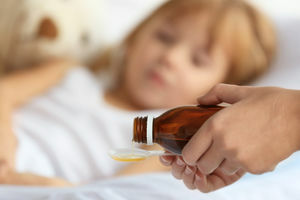 The drug is often used to treat asthma, but doctors sometimes prescribe it to help alleviate a bad cough in children.